The classic platforming shooter is a style that had its heyday back in the arcade days and the multiplayer variant was always a good way to lose some quarters (or dollars) with your friends. Very much in that vein Guns, Gore and Cannoli is here to deliver some shooting action complete with zombies, some wicked armaments, and challenging gameplay. Whether you play on your own or with some friends it’s not very complex but will give you a number of hours of enjoyment if that sort of action is what you’re seeking. 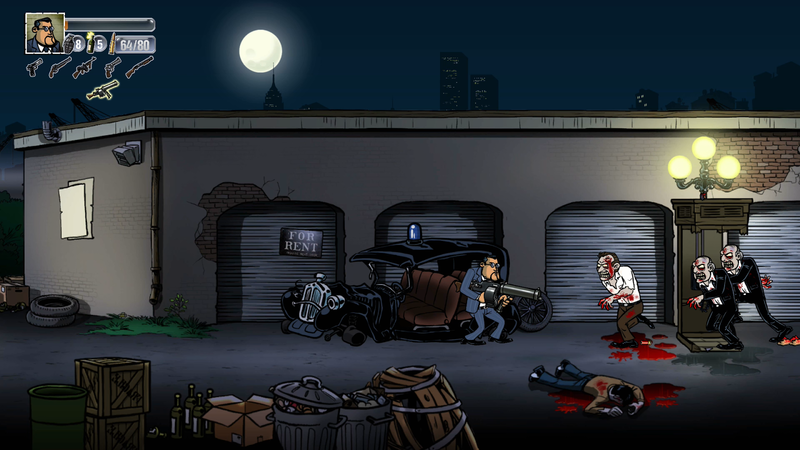 While you can change your character’s appearance by default you’ll be playing as Vinnie Cannoli, who’ll need to wade his way through the zombie-infested streets of Thugtown in order to complete his mafioso-based mission. 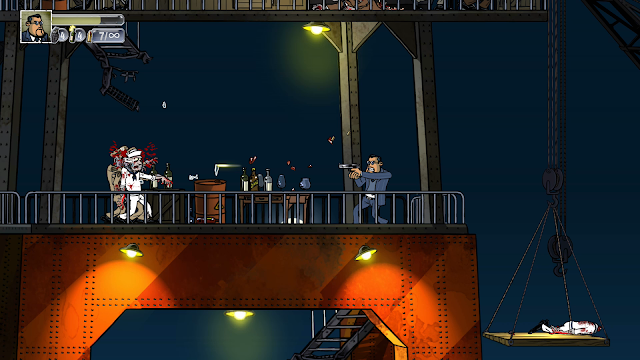 As he gets closer to his destination a collection of various mobster types will also be in his way and that does a good job of lending variety to his attackers to keep you changing your weapons and your tactics. You’ll want to pay close attention to where you’re firing as there are many spots where people will be on slightly different levels and body shots don’t take down enemies as quickly as some headshots, which is a nice and appropriate touch. The game truly has an impressive collection of weaponry, ranging from your more standard fare of pistols and shotguns to semi-automatics and the more incendiary varieties like an RPG. While there are opportunities to replenish your ammo you’ll still need to be a bit conservative with your more potent weapons to keep something in the tank for when meatier foes or groups of enemies are coming at you. Both ammo capacity and reload times also need to be taken into account as the up-close punch of a shotgun is great, but not for situations if you’re going to need more than a few shots to take your foes down. That does lend itself to some of my issues with the game as I can understand slow reloads but for some weapons it is a tad on the sluggish side. One thing that made this feel a bit worse is that, overall, I found the control scheme a bit unintuitive. Even pretty deep into the game for some reason would struggle with which button performed what function, not a great thing when zombies are coming for you. An ability to either remap the buttons or provisions for alternative schemes would have been appreciated. There is an included Versus mode for friends to play with but, overall, I'd consider it a nice bolt-on but unlikely to occupy your attention for long overall. 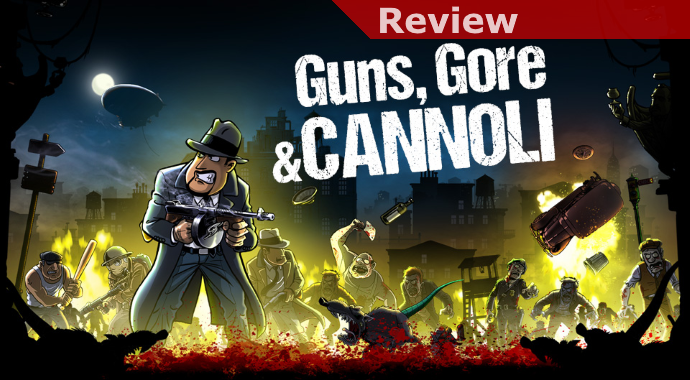 For its few hours of playtime Guns, Gore and Cannoli delivers precisely what its title suggests, though not much more. It’s a bit more of a challenge taking it all on by yourself, and certainly with some friends the carnage can be more fun as a group experience. While its memory probably won’t linger with you for a long time it’s still a fun diversion if you’re looking for some arcade-style shooting action… and ZOMBIES! While not so much in more recent generations older people like myself probably grew up playing a fair amount of dodgeball. There’s something about it that I’ve always enjoyed, probably most to do with its chaotic nature, fast action, and that the tide can sometimes turn unexpectedly depending on the rules. 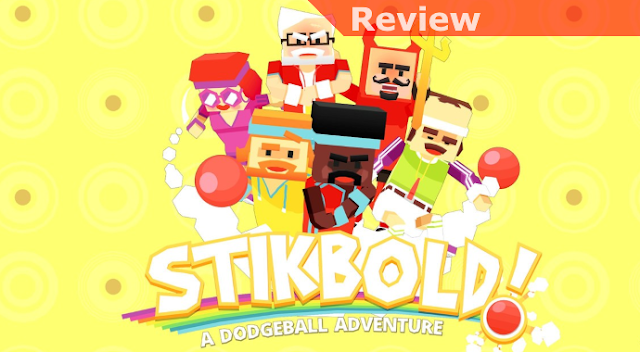 Stikbold is a somewhat unusual game that takes dodgeball and super-charges it, creating something a bit weird and wacky but quite a lot of fun in the process. To start you have a pretty challenging and utterly strange Story mode, which you can play through alone or with a friend. Through the weird and often silly tale of friends and Stikbold teammates Bjorn and Jerome you’ll try to get them on the road to becoming the Stikbold champions after a second-place finish the previous year. The road to get there I don’t want to ruin but suffice it to say you can’t possibly know what you’re in for. This mode is pretty challenging in spots but even when backed up by the CPU it shouldn’t take more than a few hours to get through. 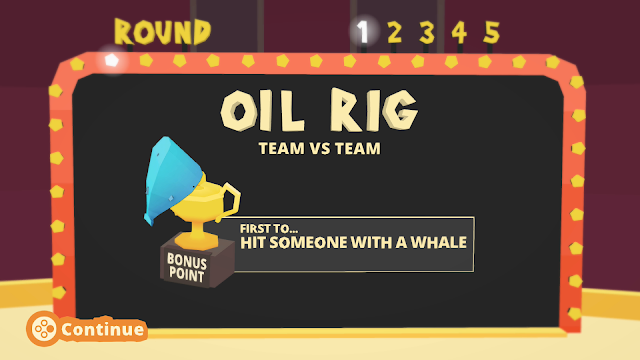 The reward is some laughs, a chance to refine your skills, and a bunch of unlockable characters for multiplayer mode. While there’s a pretty straight-forward Quick Match mode to get you and your friends playing it is the absolutely bonkers Wheel of Rumpus mode that is likely to keep you coming back or more. 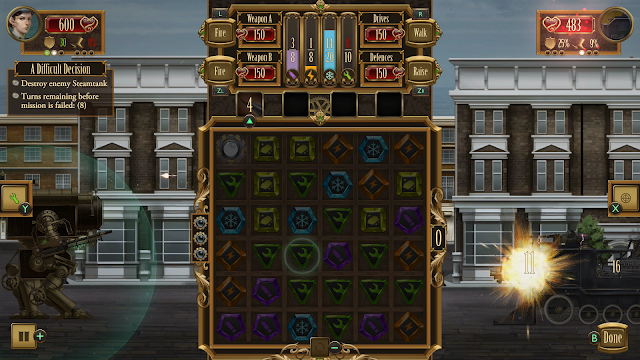 Structured like a game show a player will spin the wheel that will typically determine the location of the match. While a point goes to the player who first wins 2 rounds there’s often a secondary objective that will win a point as well for people to fight over. To get that added point you’ll often need to be “out” and manage to effectively grief one of the other players with one of the methods of attack available on that screen. These range from more simple to outright weird and it helps to keep the match as much of a free-for-all as possible. In terms of faults it’s a double-edged sword how simple the majority of the gameplay is. You’ll be able to throw, dive and bump people. There’s added opportunity for technique (and a bit of luck) if you’re ambitious and want to make a diving catch or curve your shot but for the most part you’ll likely be too busy avoiding being hit or trying to bump the ball out of someone’s hands to get a chance to put those skills to use. This is part of the reason the Wheel of Rumpus mode works so well, it effectively piles on more chaos to keep the game fresh and dynamic, but perhaps people hoping for more depth could be disappointed. Overall, Stikbold is an engaging multiplayer game that has some wild action and distinguishes itself with a great idea in the form of the Wheel of Rumpus mode. While the Story Mode isn’t terribly long it is quite a lot of fun and it’s great that you have the option to either tackle it alone or with a friend. Results will vary depending on your group but if you like chaotic and raucous fun to get people laughing it sets the table for a good time. Game of the year awards are a stressful thing both for outlets and for publishers. For independent developers especially, any additional attention is a positive and it seems a bit unfair with the great diversity of genre titles to make the list too restrictive. To that end I’ve decided to list a pretty extensive and diverse list of Nindies from 2017 that I think are deserving of recognition in their respective genres and trying to include titles that should appeal to all tastes, age groups, and levels of experience. To be clear these are only among the games I’ve had the opportunity to review so there are some omissions of some popular indie titles, and those may be deserving, but since I didn’t review them I’m not counting them here. I’d originally thought I would be more restrictive and only count titles that were first released on any platform in the current year but that seemed unfair and while I may choose to do that moving forward since the Switch was playing catch-up with so many great indies it seemed like a bad idea for this time out. With that in mind let’s get on to the games, which I’ve listed in my overall order of preference per genre, though keep in mind that I consider everything on this list worthy of your time. 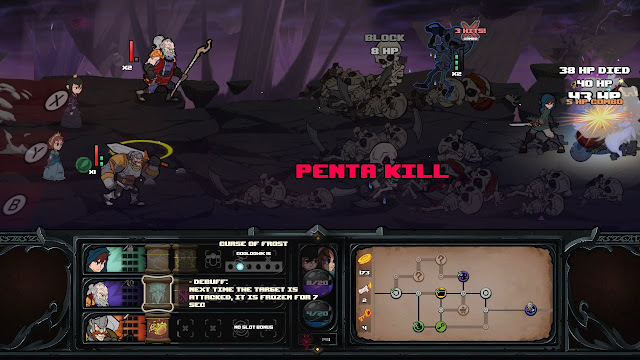 Has-Been Heroes - It seems appropriate to start the list with the first game I reviewed for the system and prepared a pretty extensive tips and tricks guide for. Dismissed by much of the games press for its substantial level of challenge before its Day 1 Patch looking through many of the complaints about it I think the biggest issue was too many people didn’t understand its mechanics and were trying to smash their way through. 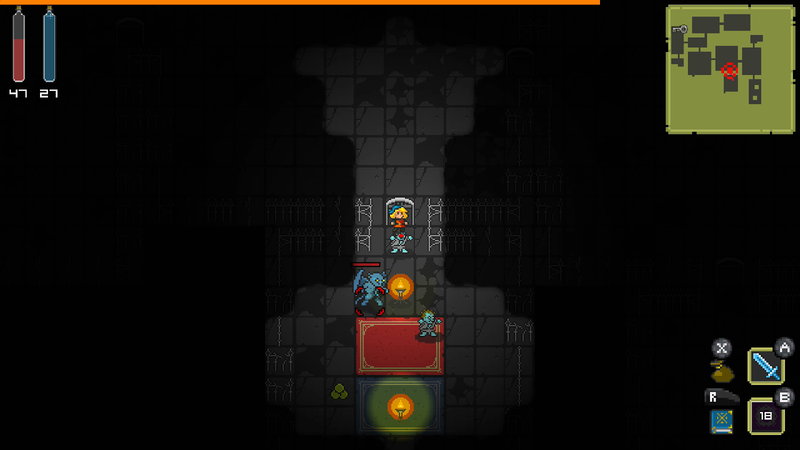 This is a deep strategy roguelike and once you understand its systems defeating its bosses is a supremely satisfying feeling. Pair that with post-launch patches that have refined the difficulty and added additional content there's a staggering amount of terrific content in this game! Ironcast - Somewhat picking up the mantle from the popular Puzzle Quest series, Ironcast constructed a very compelling, though unlikely, combination of Victorian era England, steampunk mechs, roguelike elements, and strategic gem matching. Through the campaign you’ll be challenged to manage your various systems to keep your mech operational while you try to pinpoint the weaknesses of your opponents to take them down. A great mix of genres made this something worth checking out. 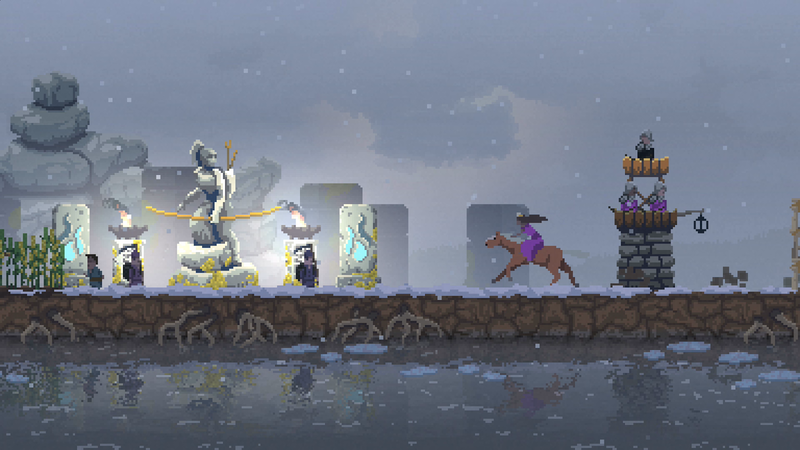 Kingdom: New Lands - This is a game that’s very hard to categorize but Strategy seems to be the best banner to put Kingdom under. Starting out as a king (or queen) with no Kingdom to speak of you’ll need to explore your lands on horseback to find gold to help you enlist commoners to your cause. You’ll need to try to construct some basic defenses pretty quickly because when the night comes so do monsters that will relentlessly attack until daybreak. It is a challenge to manage growth, money, and your people to shore up a safe base but then to seek out the ship on each island that you can then repair and use to move on to the next island, for an even steeper challenge. Creative, very different than anything I’ve played, and it made a great impression! GoNNER - I'm not gonna lie, GoNNER gets off to a very rough start and it a true roguelike in that it is frustrating and hard as balls. That said, as you get the hang of it and unlock more heads, weapons, and gear you'll find combinations that work for you through experimentation and then things start to look up. There are some terrific combinations that are a lot of fun but I tend to gravitate towards the scythe and shark fin for maximum carnage. What brings it all together is the reactive audio that continues to get more frantic as you increase your multiplier and then once you reach a certain point it all goes crazy! If you're down for a challenge it is one of my favorite titles on the Switch this year! Neon Chrome - I'd originally fallen in love with Neon Chrome on PC where I beat the game 4 times and it kept getting more intense and fun each time. Having to start out from nothing on the Switch I came to appreciate how much I had learned to lean on some of the game's most potent enhancements but I was more than happy to make it work with whatever I had and make my way to the Overseer all over again. It's challenging, exciting, and you'll need to work with what you're given but if you love twin-stick shooting it is among the most satisfying of the games of this type I've played. 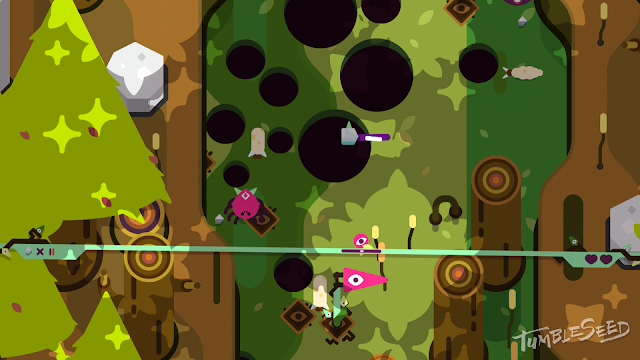 Tumbleseed - I consider Tumbleseed to be one of the best games on the system that very few people gave a chance. In part because it is something completely different and then due to its initial difficulty level it made itself a bit of a tough sell. With its Four Peaks patch it significantly improved on its accessibility and set things up in a way that would both be more friendly to more casual players and not punish people quite so much with unexpected issues like auras that would attack you the same as they would your enemies. Quirky, unique, and full of charm it is well worth taking the time to know and appreciate. Enter the Gungeon - One of the most anticipated roguelike shooters for the Switch among the people "in the know" Enter the Gungeon is as preposterous as it is bullet-laden. 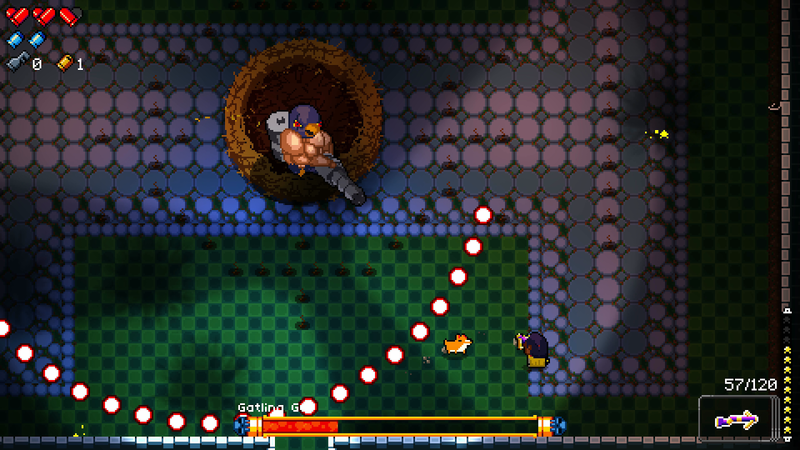 Full of personality, bizarre enemies, over-the-top bosses, and some truly ridiculous weapons you'll never quite be sure what to expect each time you go down into the Gungeon. If you're up for the challenge it delivers its own flavor of bullet hell with a distinct sense of flair. Quest of Dungeons - If you're familiar with the original Rogue that the roguelike game style derived from you'll never find quite as true a modern take on it as Quest of Dungeons. Much more bare bones in both complexity and presentation than flashier flare Quest makes up for that in satisfying challenge true to the original Rogue and well-suited to more casual play on the cough. That isn't to say it is easy, in particular defeating the last Dungeon is a supreme challenge to your skill and your patience. 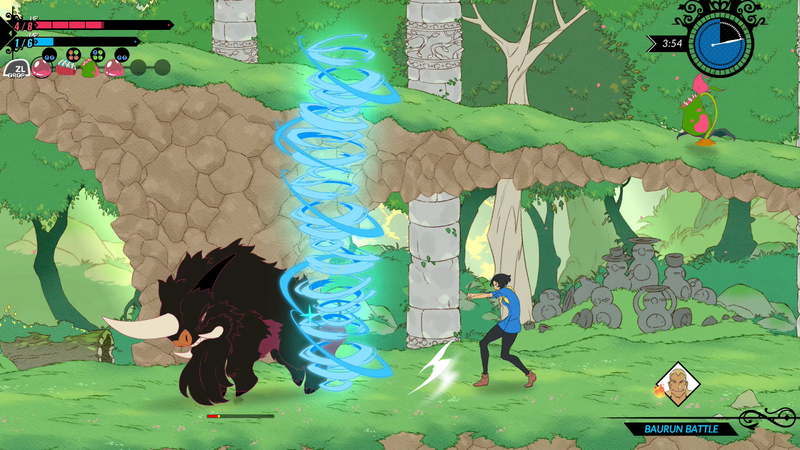 Battle Chef Brigade - Brigade is a game that immediately sounded appealing when I heard the premise and then delivered something truly unique and engaging rather than succumbing to its own hype. One part action game for collecting your ingredients, and another Match 3 puzzler for concocting your cuisine to please the judges it makes for a strategic and often frantic affair. Throw in an RPG story with some surprising twists and Battle Chef Brigade is one of the best overall titles on the system. 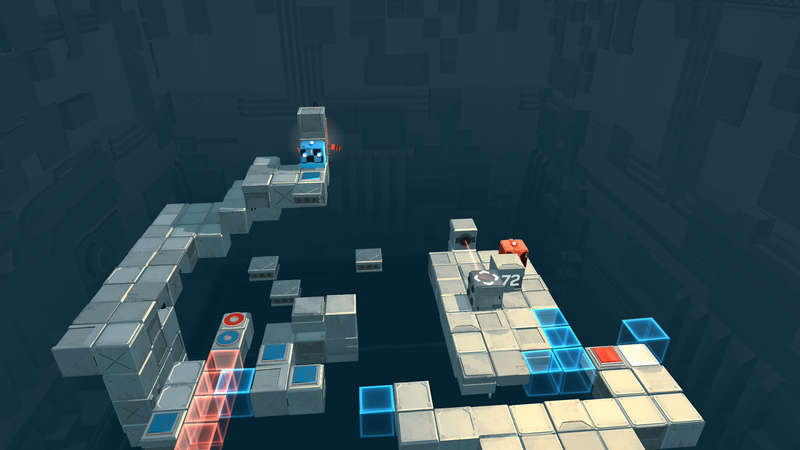 Death Squared - If you've felt like puzzle games have become a bit stale and predictable over the years, with many of them using well-known mechanics to simply create variations on a known theme, you'll want to check out Death Squared. It's amazing how first adding a second person (or pitting you against yourself) to the mix and forcing careful coordination and teamwork can really liven things up. Add in some clever and sometimes diabolical leaps of faith that are necessary to discover the game's secrets and progress and it makes for one of the best puzzle games I've played in years. If you really want to push the limits of your sanity try the collection of 4 player puzzles as well, it makes for a lot of laughing, yelling, and fun. 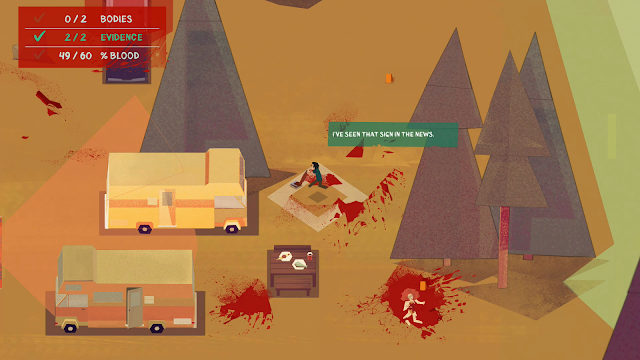 Serial Cleaner - Oozing retro 70s style in both its art and soundtrack Serial Cleaner is a more action-oriented game but it still boils down to puzzles of a sort. How do you avoid the patrolling cops (some of which don't move in set and predictable patterns), clean up blood, pick up evidence, and haul bodies to your car to dispose of them? 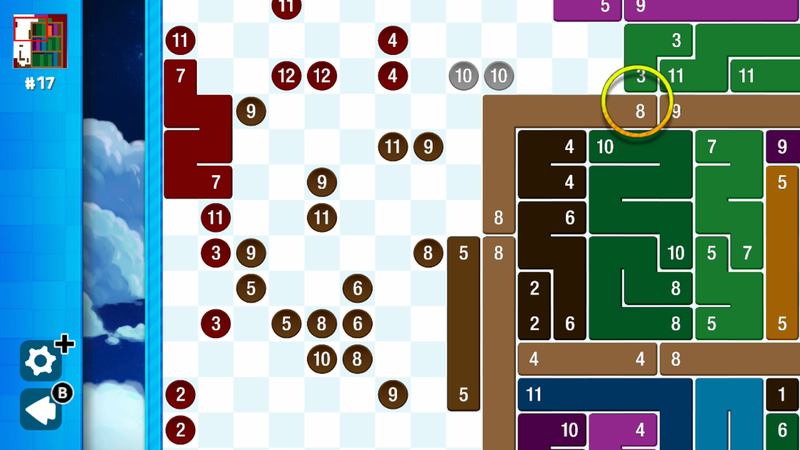 Each map has its own challenges and as you progress the areas you'll need to cover continue to get more expansive. A great touch is that hiding spots and evidence will begin to move around a little as well, keeping you from having a set solution. It will test your patience and your sneaking skills but it is a good time. Aces of the Luftwaffe Squadron - The classic arcade shooter 1943 and its many variants are among my favorites of all time and Aces does an incredible job of capturing what works in those games and then modernizing it. 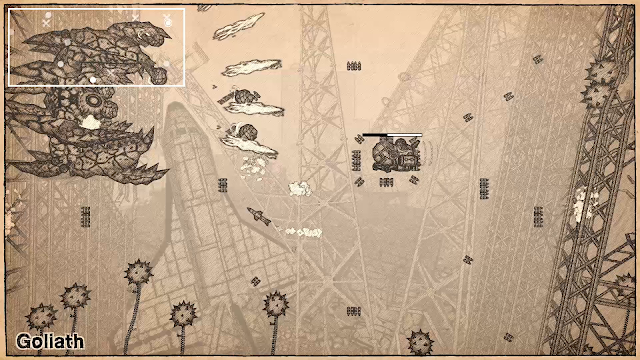 Hardly just a stock bullet hell shooter the variety of side missions you'll look to complete along the campaign will require you to use some strategy as well as technique. 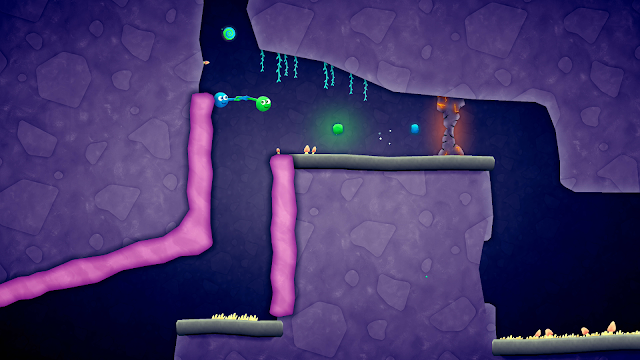 A per-pilot upgrade system that will give you a variety of new buffs and power-ups will help you shore up your weak points or simply make you more lethal, and down the stretch the bosses will test your skills sorely so you'll want and need any help you can get. Probably the best overall modern arcade shooter I've played on any platform. Rive: Ultimate Edition - While I can't emphasize the level of challenge Rive will present to you enough for people who relish the experience of dying and trying to do better the next time there's no question it delivers. The action is fast and often intense and you'll find that you need to mix accuracy and planning in your shooting with keeping in motion and jumping carefully in spots to keep alive. Full of some nice call outs to great genre games before it Rive is an acquired taste but absolutely worth checking out if you don't feel most modern shooters are pushing you hard enough. Graceful Explosion Machine - As one of the first indie titles to arrive on the Switch Graceful Explosion Machine got a lot of attention at the time for being colorful, challenging, and great fun for people who like score chasing. 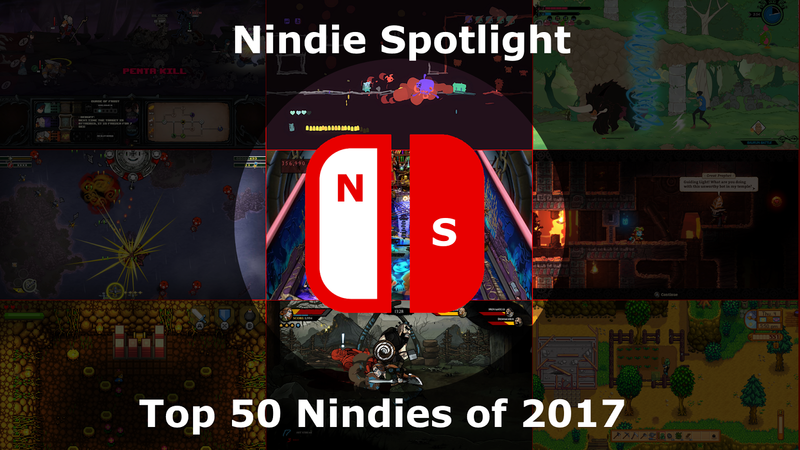 Almost a year, and over 200 indie titles later, very little of its luster has faded and it remains a distinctive and well-executed GEM in the Switch line-up. 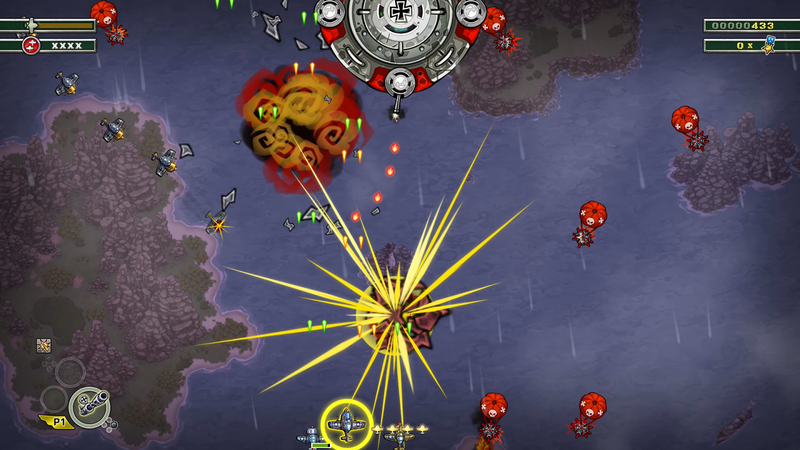 Earth Atlantis - While it initially stumbled by being a bit too punishingly difficult with its last patch the gorgeous hand-drawn Earth Atlantis moved firmly into being a must-have for shooter fans. Ultimately playing out like a boss battle game you'll be facing a very wide variety of challenging battles, each with its own unique flair, as you make your way through the wreckage of the former and now flooded world. Crimsonland - I'm not positive there would be a wide critical consensus on something as old school and generally as basic as Crimsonland making a list like this but I don't care, the game calls to me on an almost-constant basis. 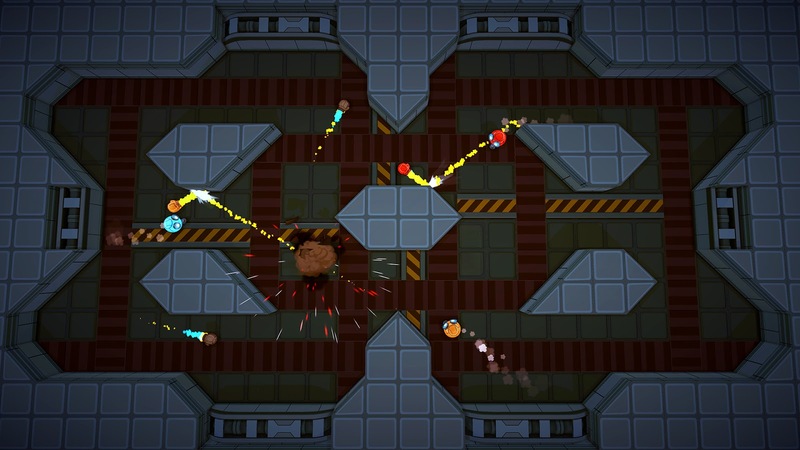 Throwing away the need for a story, structure, or complexity this is an extremely satisfying arcade-style twin-stick shooter that fans of classics like Robotron or Smash TV should absolutely check out. Completing all 3 difficulty levels of the campaign is a test or your skills and patience but from there the leaderboards will be calling you to try to be the best there is... be seeing you on the Survival Blitz boards, if you're up to it! 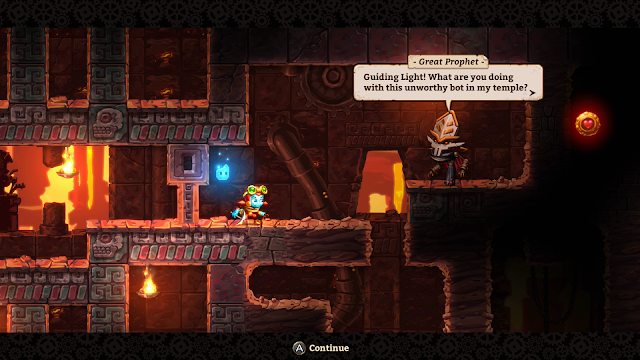 Steamworld Dig 2 - Widely, and quite deservedly, regarded as the best indie game on the Switch (though perhaps Stardew Valley would have something to say about that) Dig 2 essentially took everything that already worked well with the original and improved upon it. Far more hand-crafted, full of humor, and exemplifying the "just one more run" treasure hunting loop it is very satisfying but also challenging to both your mind and reflexes. To get everything you'll need to work through some tough trials but it is a very rewarding ride. 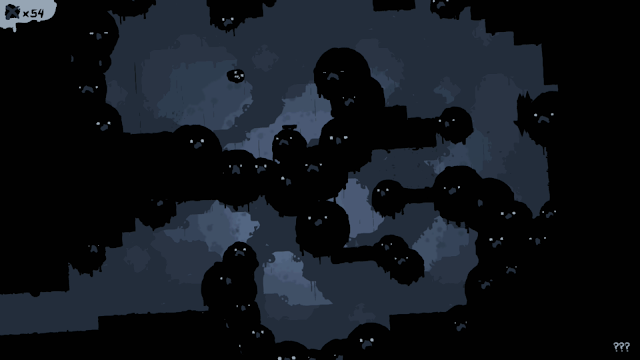 The End is Nigh - While not as viscerally-satisfying as its older sibling Super Meat Boy, Ash's quest to find cartridges and tumors in his journey across the post-Apocalyptic wasteland shares many of its sensibilities. In general it is a super-challenging affair but with its tight controls in general when you fail you only have yourself to blame. Certainly not for the easily-aggravated but when you complete some of the more difficult levels it is also incredibly rewarding. 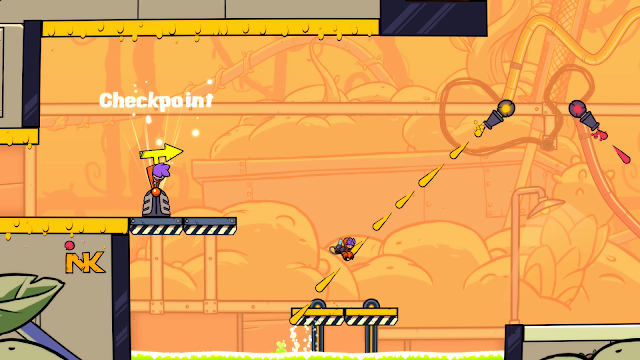 Splasher - While anyone and everyone looking at it saw a 2D Splatoon of some kind the kinetic and deep gameplay give Splasher a flair all its own. You'll acquire the ability to paint surfaces with different types of goo that will help you make your way up walls and bouncing through difficult passages. 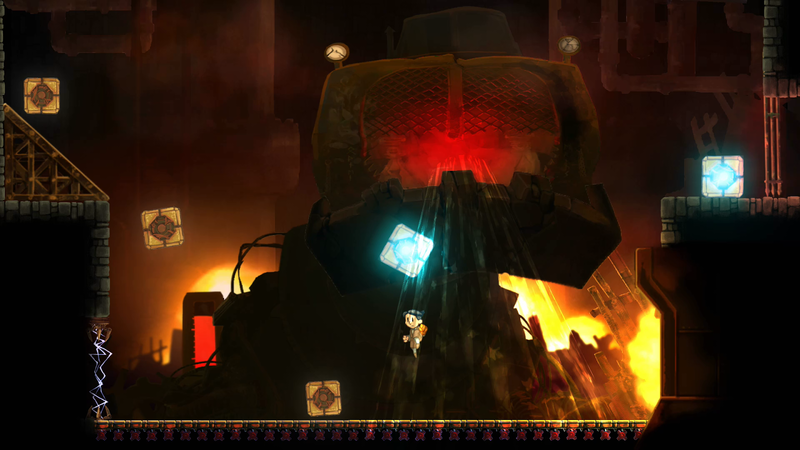 The gameplay is fast and frantic and once you beat the levels for an added challenge speed running them is quite a challenging thrill as well. 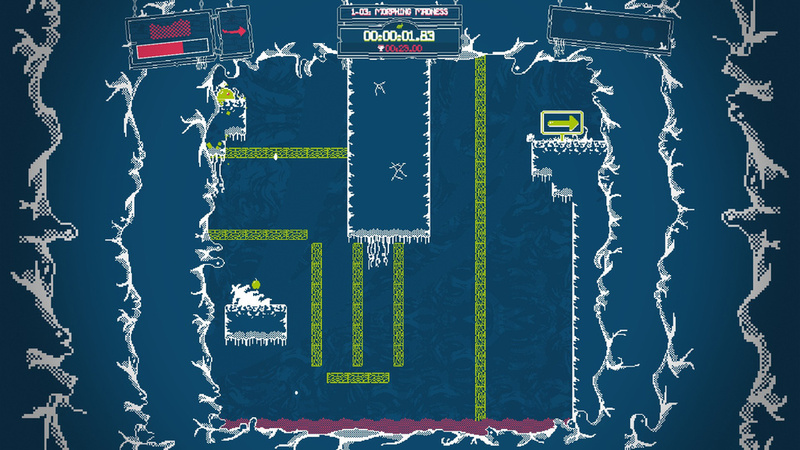 Slime-San - While some may think it has looks only a mother could love the challenging and satisfying platforming offered by Slime-San is worth getting acquainted for. 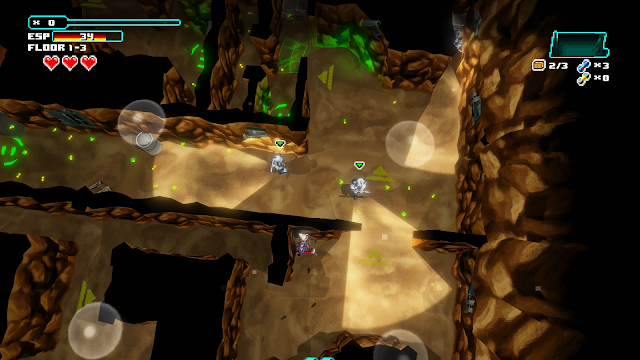 Each zone has its own theme and each screen presents a serious challenge, especially for completionists. 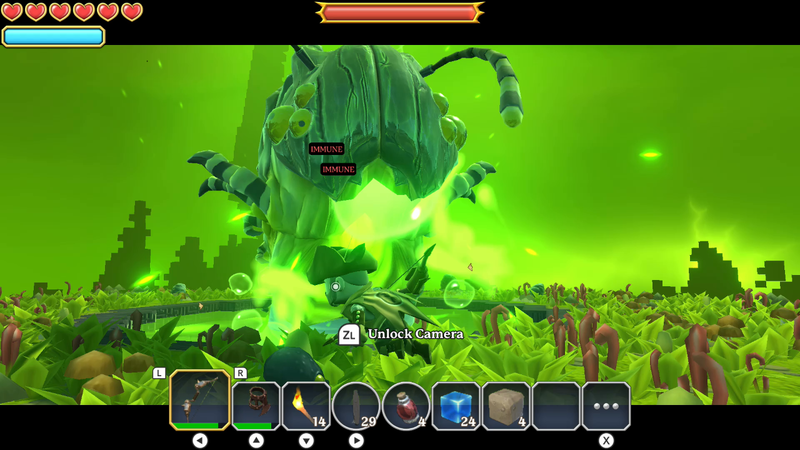 As you progress you'll have the opportunity to unlock additional slimes to help suit your personal style a little better and you'll need to be comfortable as the boss battles have a tendency to get challenging. Inventive and having some mechanics all its own it is well worth picking up. Even better the DLC packs for it are both free so there's even more content to be enjoyed for the reasonable price of admission. 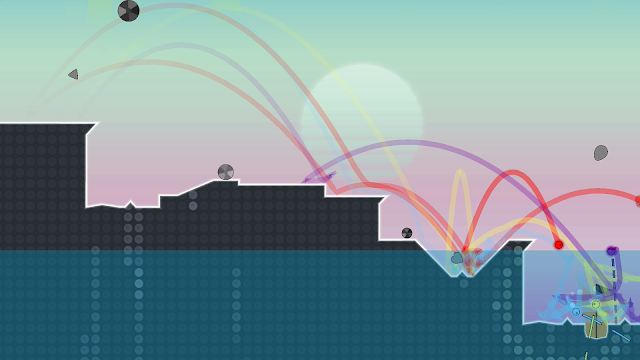 Poi - Somewhat of a love letter to Super Mario 64 and the era of 3D platforming it inspired Poi is a bit of a throwback. You'll open each level with an objective in mind and will need to work out the specifics in many cases of what you'll need to do as you go. The pleasant surprise is the general variety in tasks and challenges that will crop up in the form of secret levels and alternative tasks a little more off the beaten path. 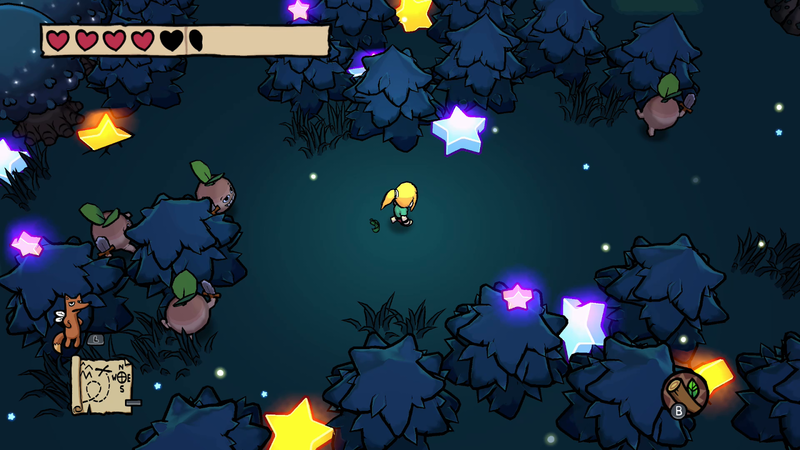 While it lacks the polish of AAA titles it has an earnest charm that I found endearing. 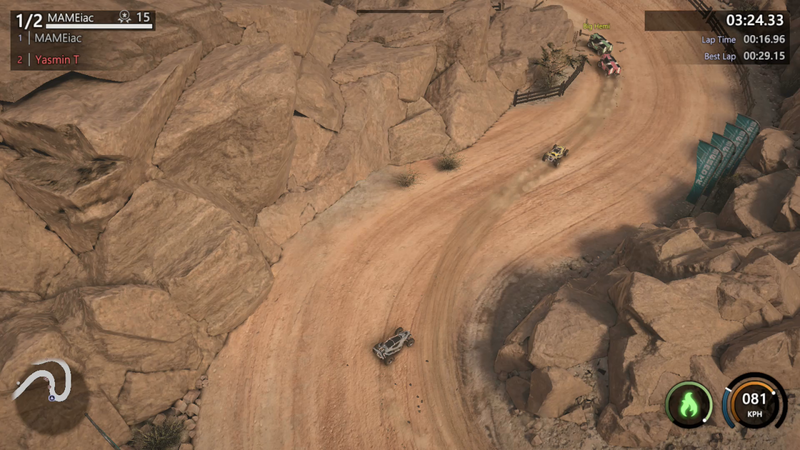 Mantis Burn Racing - If you're a fan of tight controls, drifting, and top-down racing ala Micro Machines and the like Mantis Burn Racing is a game you'll want to check out. While the original campaign mode can get a bit dry and repetitive in spots the DLC pack snow, hover, and battle packs really even out the whole package to provide a little something for all tastes. I personally preferred the carnage of the battle mode but high-speed thrills were also exciting and challenging in the others. The addition of well-implemented online play is the icing on the cake. 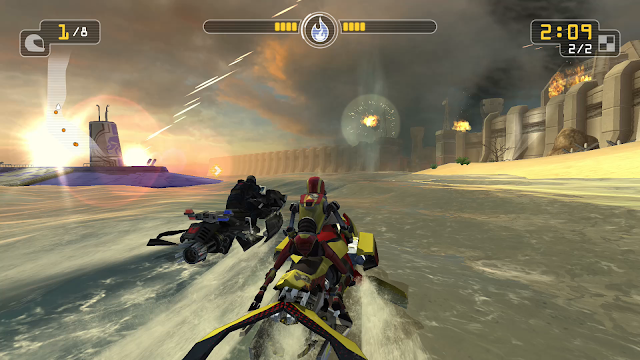 Riptide GP: Renegade - While it has far more in common with traditional racing games than my beloved Wave Race this mobile conversion looks great and is generally very satisfying on the Switch. It has a pretty solid variety in tracks that range from being very closed courses to a few that get into open water a bit and this helps keep it interesting. The alternative stunt mode may be a little hit or miss in some regards but the slalom mode is an excellent test of your water-based racing skills. Online play is included as well but for the price of admission I found the pretty challenging single-player mode to be pretty thoroughly satisfying. 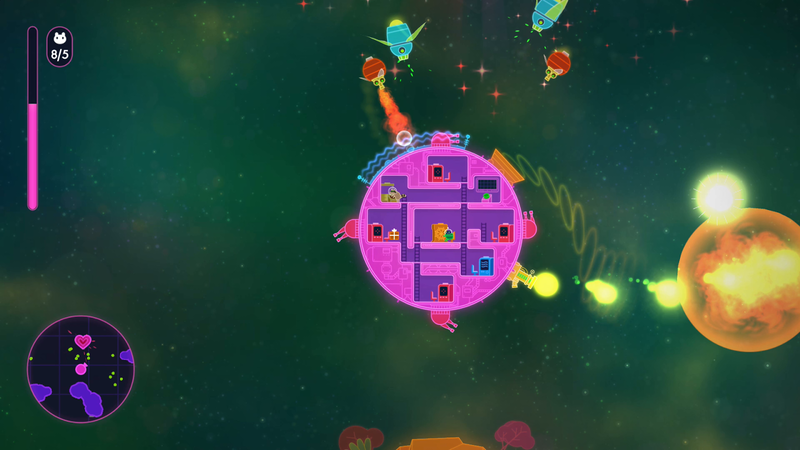 Lovers in a Dangerous Spacetime - While it is certainly playable, enjoyable, and challenging as a single-player game where Lovers really shines is in playing with friends and family. 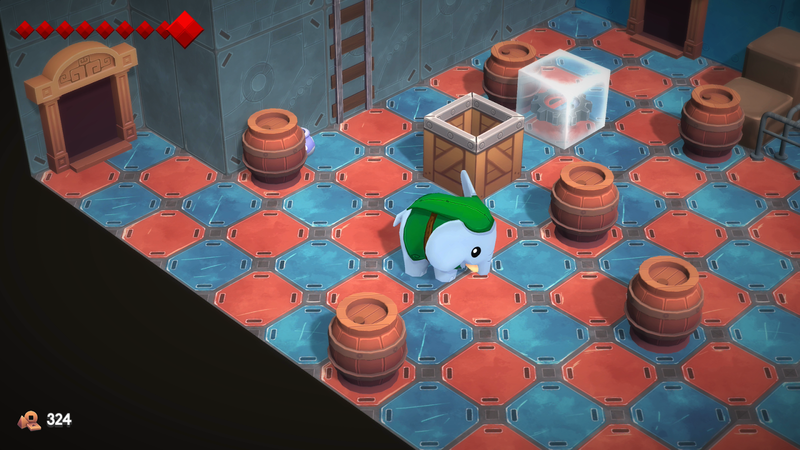 You'll each need to move around your ship to control the various stations whether the engines, shields, guns, or bigger cannon to defeat bad guys and save cute bunnies from their cages. Extra exploration and time taken increases your risk of failure but will also have you on the path to upgrading faster and as you progress you may find every extra bit of help you can have necessary. Colorful, fun, and sure to encourage a lot of yelling (hopefully mostly positive), it's a good time. Portal Knights - Much more than the mere Minecraft-alike that people may presume I found the refined action focus and zones, each with its own monsters and supplies, to be preferable. Throw in some multiple bosses you'll need to face, three distinct classes with their own feel, and the ability to play with friends locally and online and it can be a lot of fun to enjoy with others. An accessible and engaging game suitable for the whole family. Nine Parchments - While not everything in it is quite to its final level of polish (a patch is planned for early 2018) Nine Parchments is an extremely attractive, challenging, and fun game. While you can go it alone partying up can allow people to specialize their wizards and more efficiently inflict damage. 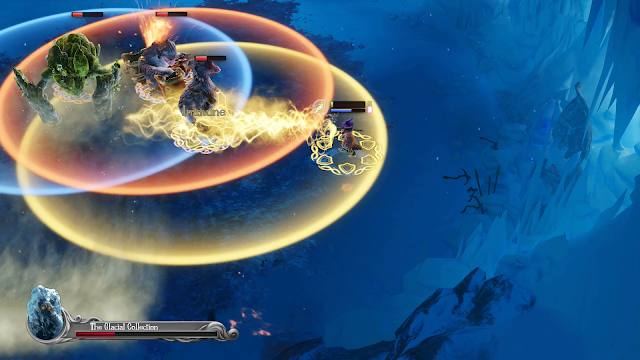 Strategy plays a key role in defeating enemies as they'll have resistances and tactics that will require you to change things up to succeed and even break out your melee attack once in a while. Varied and challenging it's well worth looking at, especially once its rough edges have been sorted out with the single save file currently holding it back. Putty Pals - I don't recall ever playing a game that was quite as family-friendly while also as cooperatively-focused and challenging as Putty Pals. You'll need to work together either controlling each pal independently yourself (this gets challenging as you get deeper into the game) or with the help of a friend. Making clever use of a relatively restricted set of moves you'll be jumping, swinging, and bouncing together through each level and if you're up for a challenge unlocked zones and speed run modes crank up the difficulty for more experienced pairs as well. 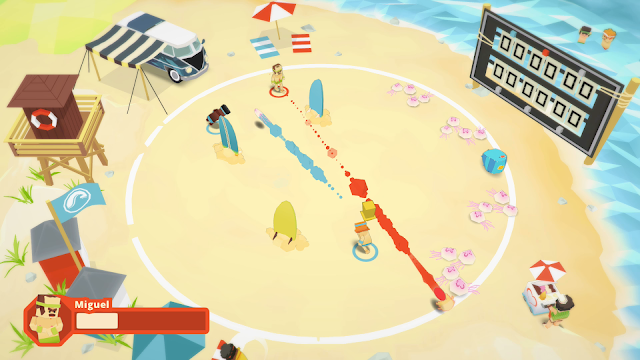 Crawl - Probably one of the most balanced and creative local multiplayer competitive games I've played Crawl does a whole lot right, setting the stage for frantic fun with you and up to 3 friends. Each of you is trying to play as the hero, set on reaching Level 10, facing the final boss, and escaping the dungeons. The trick is that everyone else will play as spirits, capable of triggering traps or summoning monsters to try to bring the hero down. As the hero levels up to maintain balance the spirits are given wrath points that they can use to upgrade their monsters to make them decidedly more lethal. What's fun is how the dynamic among the spirit players quickly shifts from being cooperative at first to a free-for-all as the heroes health wanes, with each wanting to strike the killing blow to take over and have their shot at glory. Inventive and intense fun for a group of competitive friends! Rocket League - As a game that I've already spent well over 500 hours playing on the PC I'm thrilled that Nintendo fans finally have their opportunity to play this excellent title. 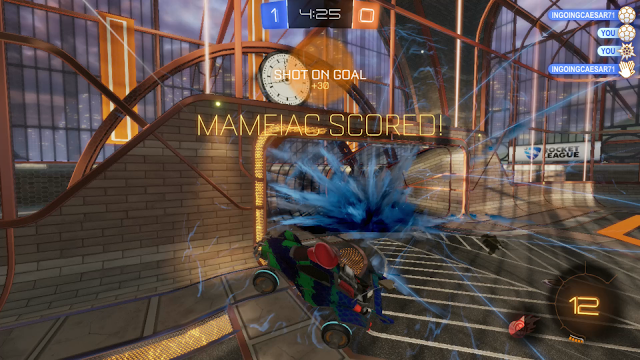 While the concept of rocket-powered cars roughly playing soccer may seem ridiculous once you get your first taste of airtime and scoring crazy goals or making last-second saves you may well get hooked as so many others have already. While getting started isn't too hard even hundreds of hours in there will always be new skills and tricks for you to master. While compromises on the visuals had to be made to get it on the console the focus on the buttery frame rate was the proper choice in priorities. If you've never given it a try it is well worth checking out. 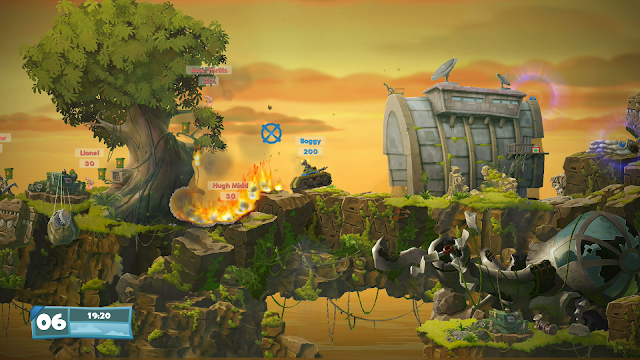 Worms WMD - While some of the installments of the Worms franchise haven't always delivered fresh changes WMD both looks incredible and adds a number of elements that make it stand out. Crafting adds a strategic component to matches and generally allows the early phase to remain more traditional before the more lethal and ridiculous weapons begin to come into use. Vehicles like the tank, helicopter, and mech suit provide temptation as well as they can change the match quickly if used well. Finally, there are some bonus single-player campaigns that are legitimately difficult and worthwhile in their own right. Even if you've been away from the franchise for some time, or you've never given it a try, this is an installment worth giving a shot. Rocket Fist - Delivering fast and pretty hectic action Rocket Fist reminds me most of playing Super Bomberman on the SNES and having a great time with my friends. 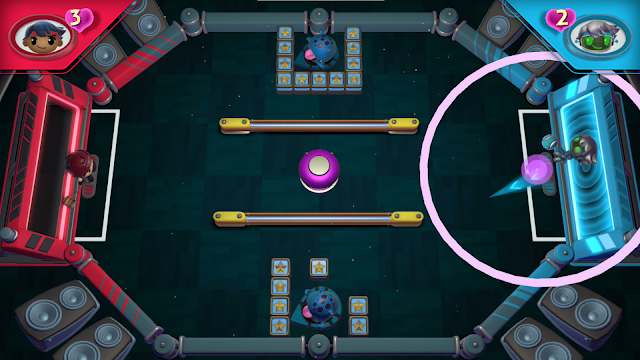 Playing out like a fast-paced arena-based game of dodgeball you'll try to control fists and ricochet them off the walls to hit your opponents while you try to keep out of trouble yourself. 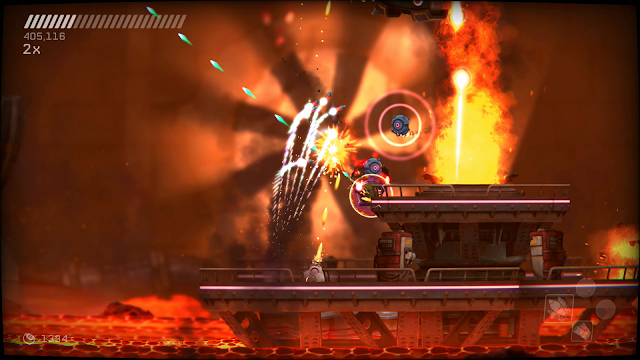 Add on a pretty terrific single-player campaign, complete with the incredibly cool and fun Unckle Knuckle, and Rocket Fist has a lot to offer for an affordable price. 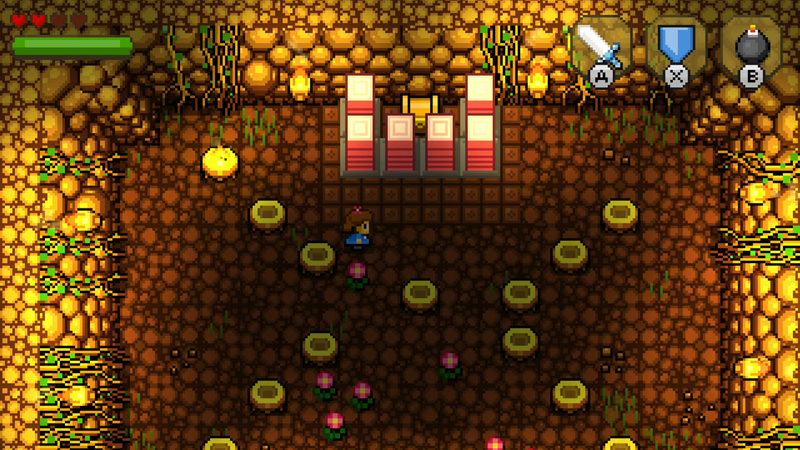 Blossom Tales - Perhaps a little less gaining inspiration from the classic top-down Zelda titles like Link to the Past than copying it outright, Blossom Tales is an excellent game to help hold you over until the Virtual Console arrives. Cleverly playing out as a grandfather tells his granddaughters a story about a brave hero, Lilly, the focus is on taking most of the classic Zelda weaponry and then adding some more unique items of its own if you're willing to search them out. Thoroughly satisfying for the price of admission, Blossom Tales plays like a "lost" Nintendo title. Ittle Dew 2+ - The flipside of the classic Zelda homage coin is Ittle Dew 2+, a title that has some of the same sensibilities but has much more of a style and sense of humor all its own. 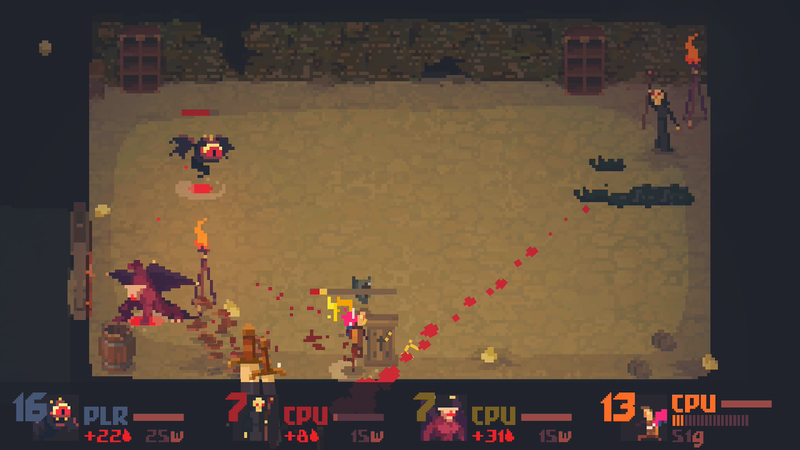 While there is combat action in the game it is generally less interesting (and in the overworld can be quite dangerous to your health) the puzzles are truly challenging and some will have you scratching your head a bit. In addition to the ample dungeons in the original game there is an additional world in the Switch version, providing even more great content with shadows of the Zelda formula present everywhere. Teslagrad - Revealing too much about Teslagrad would ruin some of the fun of discovery and growth in it but suffice it to say that from start to finish it is a creative and engaging action puzzler. Over the course of its runtime you'll slowly have your powers revealed to you and you'll then be pushed bit by bit to apply those powers in new and increasingly creative ways. Very much worth checking out, it leaves you to explore and discover things in your own way, only ever giving visual prompts but never explicit direction. Yono and the Celestial Elephants - Nicknamed "cute elephant Zelda" by many fans on Twitter Yono doesn't exactly start out the game with a tunic that is oddly familiar but it is one of the many themed outfits he'll have an opportunity to buy and wear over the course of his adventure. For seasoned gamers the early going will probably be a bit on the easy side, and combat never gets too complex, but for younger or less experienced gamers I would highly recommend its gentle progression from easier to more complicated puzzles as you reach the game's conclusion. 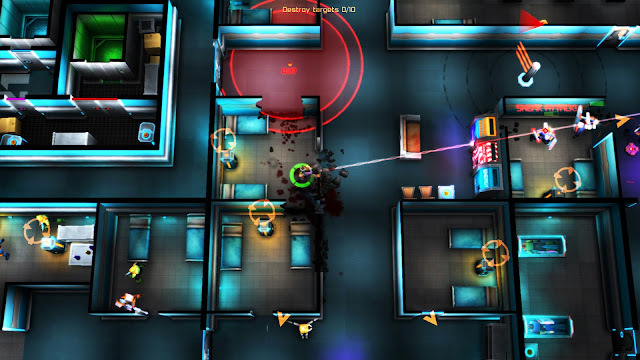 Never Stop Sneakin’ - As a person who has never liked or enjoyed pure stealth titles in the least Never Stop Sneakin gives me hope that there are more action-oriented takes on the genre that I can get behind. Though it doesn't change up the formula much over the course of the game the sometimes arcade-like qualities of the stealth action really sucked me in. You could choose to just survive the levels but it is when you begin plotting strategy to knock out guards and guns in quick succession to keep your multiplier up that the game shines the brightest. A weird sense of humor and part homage, part mocking of the original Metal Gear Solid and overblown action movie and game tropes are icing on the cake. 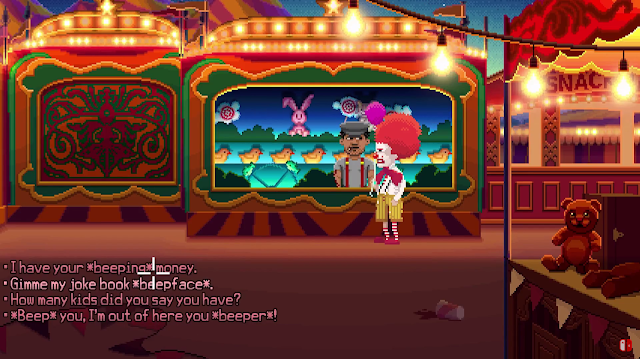 Thimbleweed Park - The classic LucasArts adventure games were staple PC titles always guaranteeing great laughs from their quirky characters, silly dialogue, and often-bizarre puzzles. Now some of the best minds behind those classic titles have come back to the table with Thimbleweed Park, hopefully exposing a new generation to their signature style and sense of humor. 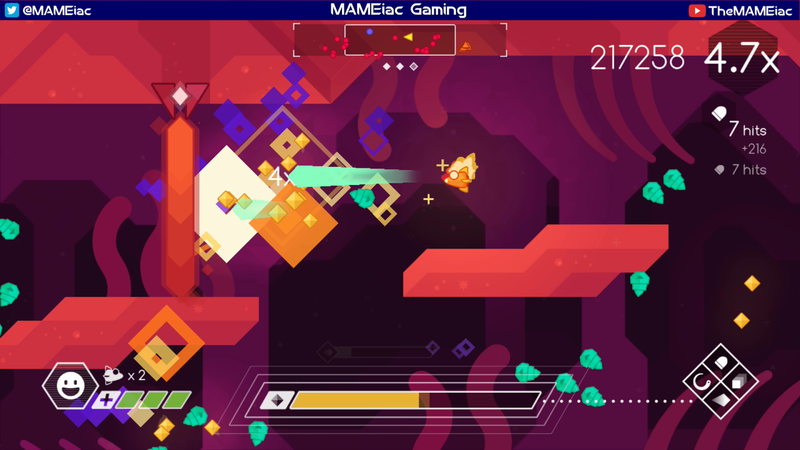 While the pace is a bit slower than people are likely used to the Switch's touchscreen makes it an ideal platform for playing these games quickly and effectively. Thimbleweed Park is a terrific reminder of how well humor can work in games. Stick it to the Man! 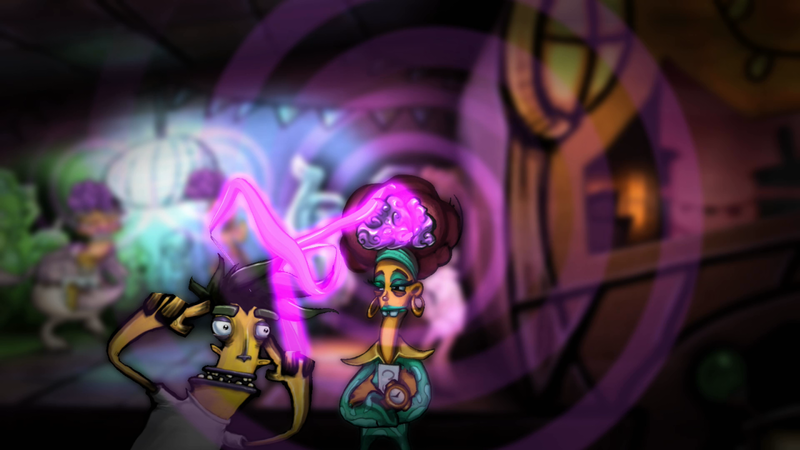 - With a distinctive cut-out art style, odd humor, and plenty of strange solutions to the problems you'll encounter along the way Stick it to the Man proudly does its own thing with flair. Using the powers of the "spaghetti arm" coming out of your head (accidents with top secret objects that fall out of the sky can do strange things apparently) you're able to read minds and grab stickers to then use to resolve the issues and obstacles you encounter. With some unorthodox and funny solutions to be discovered it forges a strange and humorous path all its own. 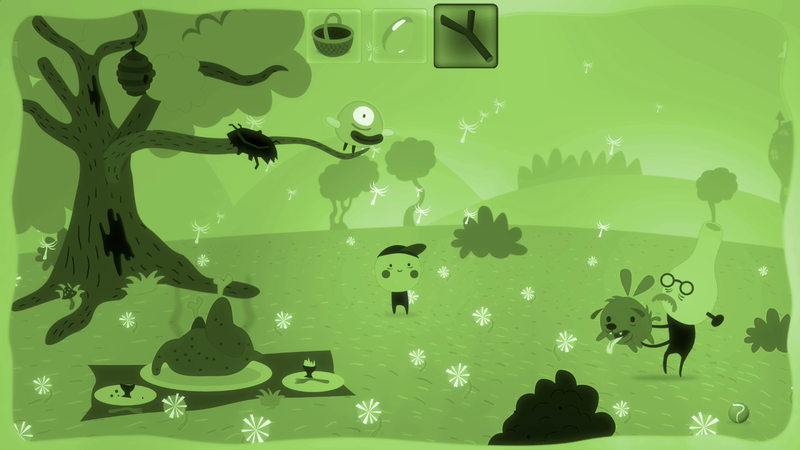 Bulb Boy - While it isn't a terribly long adventure Bulb Boy is a creative journey with an unusual art style that consistently challenges and entertains. You'll never quite know what to expect next and the puzzles you'll be asked to solve in his journey require a wide variety of solutions. A great weekend adventure if you're looking for something different to try out. Stardew Valley - Possibly one of the most successful indie games ever made by a single developer Stardew Valley is wonderfully calming and varied. After inheriting your grandfather's farm you'll need to rebuild it, whether focusing on crops, livestock, or some combination of both. 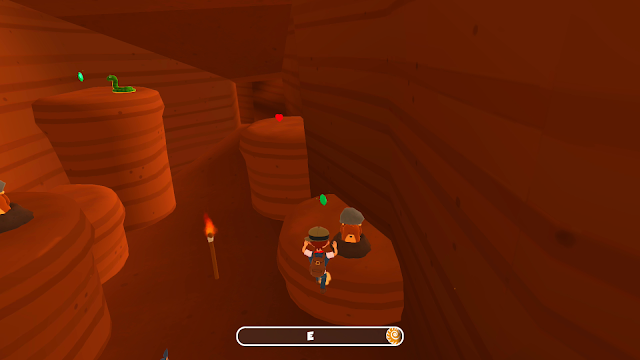 If you're more inclined to spend your time fishing or hitting the mines for loot and glory you can also enjoy those tasks to keep things from getting stale. 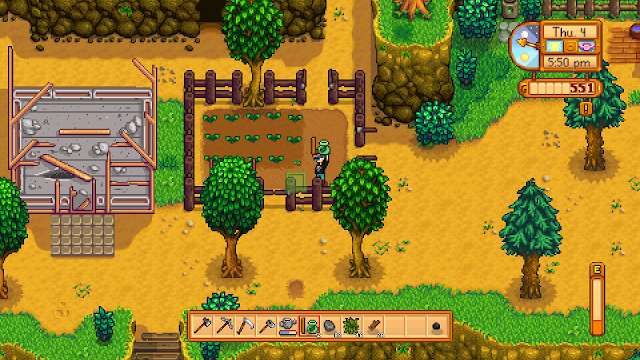 Rounded out with a pleasant collection of characters, seasonal events, and a whole lot of charm Stardew Valley is very easy to sink hours into once it gets its "Just one more day" hooks in you. 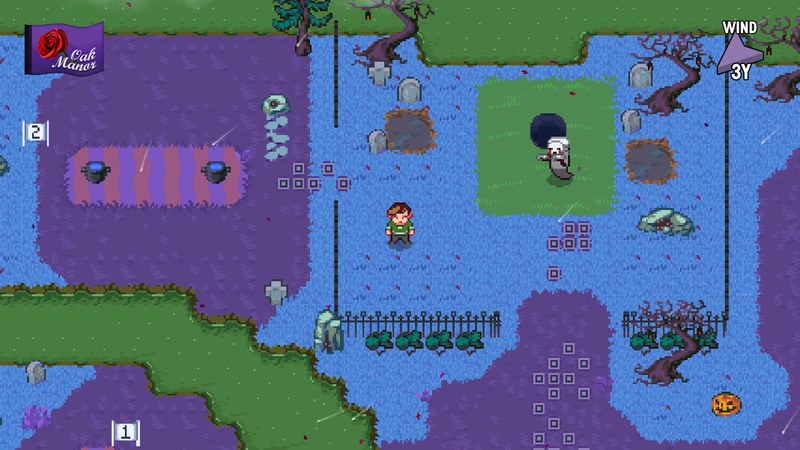 Golf Story - While perhaps the hype train for Golf Story got a little too far ahead of itself pre-launch Golf Story still ended up being a very charming and somewhat goofy RPG. While its golf mechanics aren't quite up to the standards of the best the Mario Golf series had to offer they do a fine job of giving you the control you'll need to conquer the game's diverse set of courses. Not surprisingly most problems here are solved with your clubs generally but some of the more creative and silly sequences try to keep it from getting too repetitive and predictable. A thoroughly enjoyable RPG all around. 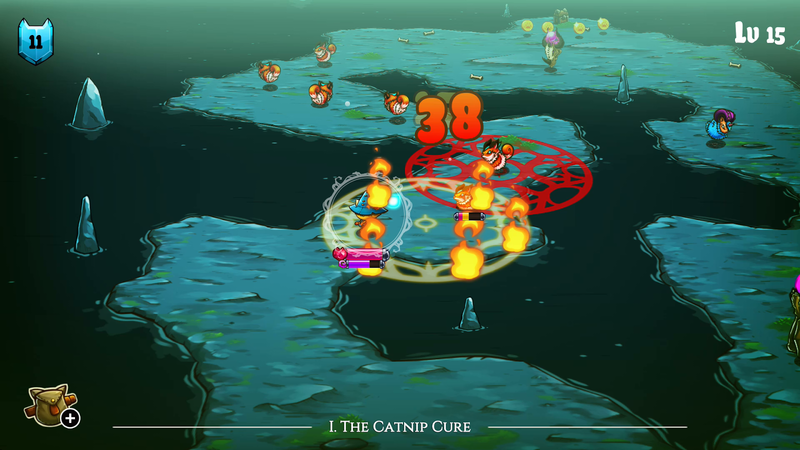 Cat Quest - Emphasizing the action end of the RPG spectrum Cat Quest keeps things like and generally simpler, though that isn't to say it is easy. This is a world of many terrible cat puns, dragons, and adventure and you'll need to have sharp skills in order to defeat the game's tougher foes. While at times it can get a bit grindy it is nonetheless a welcome variation on the RPG formula for people who like a little more action in the mix. 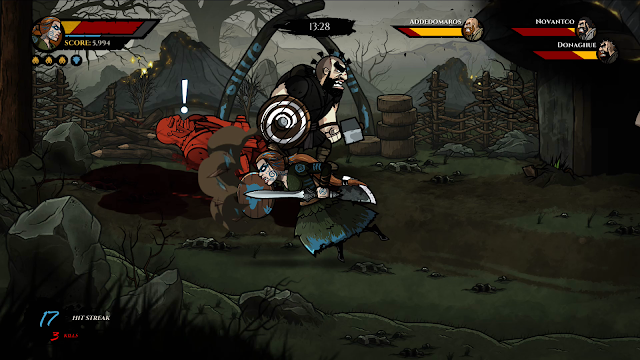 Wulverblade - Full of technique, nuance, and some very challenging boss fights Wulverblade has established a new gold standard in what beat-em-ups should aspire to both in terms of story and general gameplay. A patch to pull back the challenge and make it more accessible to less skilled players was welcome and there's one particular surprise as you near the game's conclusion that you absolutely won't want to miss! The end is only the beginning! 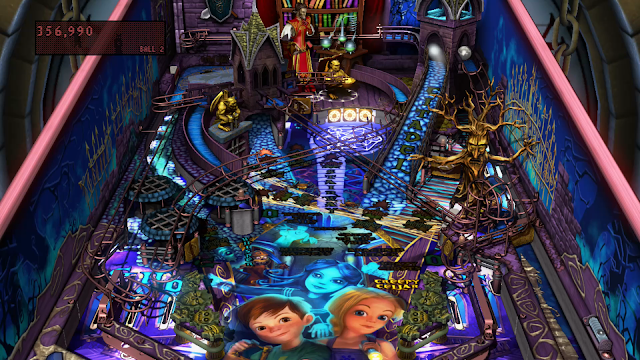 Pinball FX3 - As a life-long fan of pinball I've always kept close tabs on the state of virtual pinball tables and the past few years haven't disappointed. Though I typically favor Pinball Arcade because it has many of the classic tables I've loved over the years on the Switch the clear choice is Pinball FX3 in terms of overall quality. The presentation is outstanding, the table experience is immersive, and until Pinball Arcade is patched FX3 is also currently the only one you can play vertically while in handheld mode. Since it is a free download and you can enjoy the well-designed Sorcerer's Apprentice for free (though there are many additional tables both licensed and originals you can buy) there should be nothing holding you back from giving it a try! 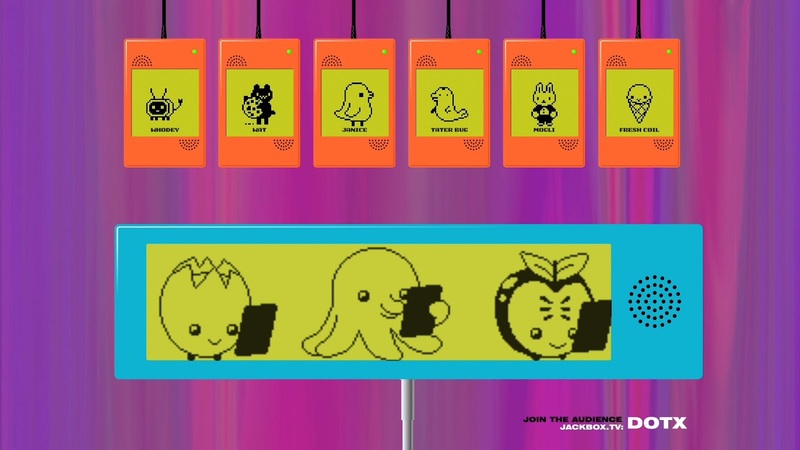 Piczle Lines DX - While it may be available on mobile I consider the Switch to be the best way to experience this great puzzle game that is both less and more challenging that it appears. You'll need to use your powers of deduction to work out how each of the lines can be completed in the specified number of spaces without conflicting with any others to complete these pixel art pictures. Smaller puzzles can go pretty quickly but as you get into the larger-scale puzzles this can get to be quite an undertaking. Having been updated multiple times now with post-launch free additional puzzles the package continues to get more appealing as well. Party Golf - In truth the name Party Golf is deceiving, while there are modes that play a lot like a simple golf game the true fun in this title is switching up the rules to play a number of pretty unusual variants. Control generally couldn't be easier, you pick your angle and power with the analog stick and then fire. Rules will generally dictate that the first person to get to the hole gets the most points but if you keep exploring the game options you'll find all sorts of ways to have fun with some friends. 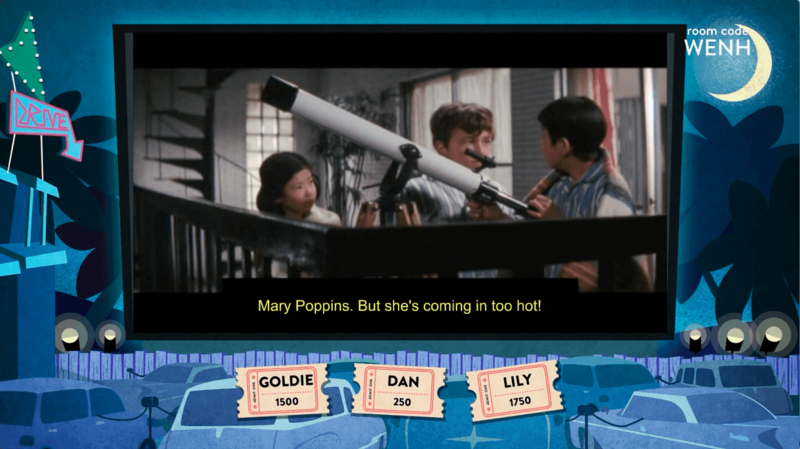 Use Your Words - Taking the format that the folks at Jackbox pretty well perfected Use Your Words isn't a collection of distinct mini games, it is instead played as a single game with 3 types of rounds. The highlight is Sub the Title, which plays out a bit like your own version of Mystery Science Theater 3000. Given an often odd clip of a foreign film each player will be challenged to create their own subtitles for the scene. With some clips that are already a bit ridiculous this tends to get creative juices flowing. The other two modes, involving assigning newspaper headlines to some odd pictures and a fill-in-the-blank mode round out the fun. The pacing can be a little slow but if you give it a chance it can be a lot of fun. Jackbox Party Pack 2 - In general the Jackbox Party Packs are all a lot of fun and which one you'll prefer will probably have more to do with the personal preferences of you and the people you're playing with. Over time the pack my own family has tended towards the most is Party Pack 2, in particular for its inclusion of versions of Quiplash and Fibbage, but mostly because my kids absolutely love the weirdo Earwax. 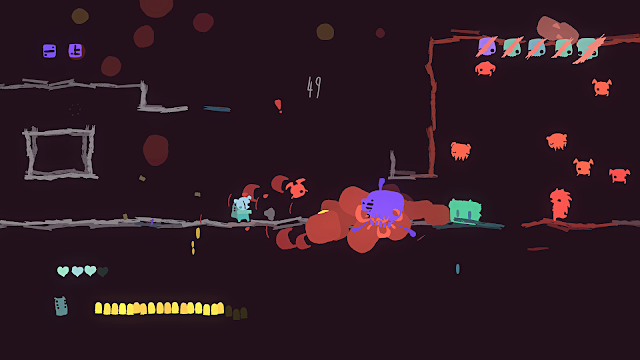 One player will choose an odd prompt and the rest will be given several descriptions of sounds to choose from. The goal is to pick 2 sounds that best represent the prompt and given the random nature of what you have to work with this can force people to be a bit creative. If you have a large group one great feature of all Jackbox packs is that beyond the limits on players for each game everyone else can join in as members of the audience to vote. All are a lot of fun and a great way to liven up your party. Super Beat Sports - Somewhat reminiscent of the Nintendo Rhythm Heaven franchise in places Super Beat Sports consists of 5 pretty different music and rhythm mini games. While all 5 are fun (whether alone or with friends, though games are generally always more fun with friends) for me the highlight is the game that blends air hockey, tennis, pinball, and I suppose breakout, Buddy Ball. In a head-to-head affair you'll try to out-score your opponent but what you'll need to do so changes regularly and it can be quite unpredictable. Well worth your time if you're looking for something with some musical flair to play with your friends. 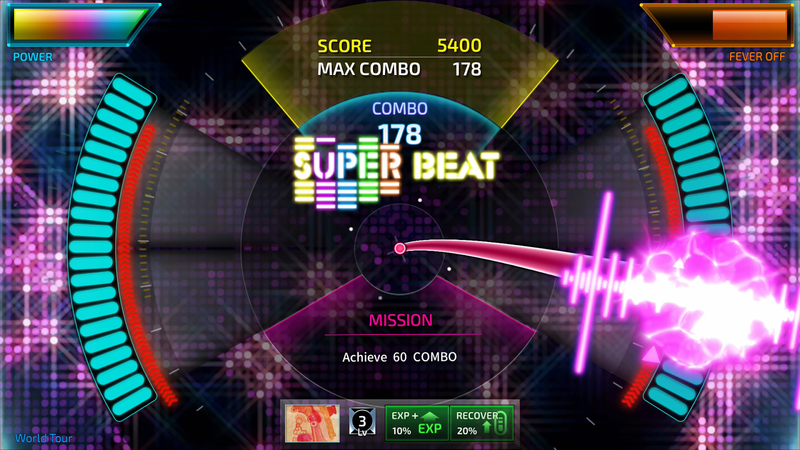 Superbeat: XONiC - Sporting a large and diverse set of tracks that has continued to grow (for free) with additional DLC post launch Superbeat: XONiC is an excellent and often quite challenging music and rhythm game best played in handheld mode. You'll have to tap and swipe your screen to match the beat and patterns that the game throws at you for music ranging from J-Pop (OK, there's a lot of J-Pop, but most of it is quite catchy) to some curve balls like Speed Metal. From song to song what you'll need to do to score will vary a bit wildly but just like classic games like Guitar Hero with a little familiarity and practice it is amazing what you'll be able to pull off. That's my Top 50 for 2017, I hope you'll take the time to check some of these titles out, they're all worthy of your attention. Congratulations to all of the hard-working indie devs and publishers who made this first incredible year of indie madness on the Switch possible!